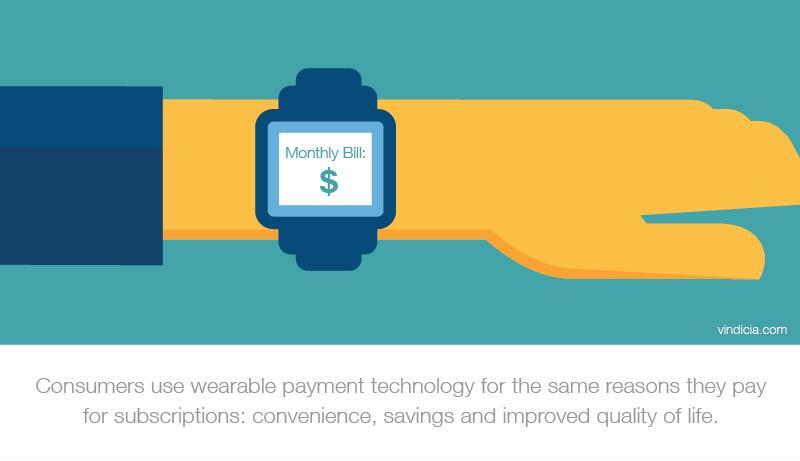 Subscription businesses must prepare for a world in which consumers will demand the option to pay via more and more connected devices, including a wide array of wearables. Even if this trend doesn't reach its height for a number of years, already today there is an increasing acceptance of wearables and payments that businesses shouldn't ignore; CCS Insight predicts that 245 million wearable devices will be sold in 2019. Furthermore, as Visa explained, it is highly probable that these devices will become ecommerce portals. Currently, major retailers and restaurants like Target and Starbucks already allow consumers to pay for products via a number of wearable devices. These priorities align with the reasons customers enjoy subscription services - meaning these businesses can assume that the combined convenience of recurring payments and wearable technology will help them better serve and please their customers. Therefore, subscription companies shouldn't hesitate to research how they can get a handle on this developing technology, lest their competitors do so first and gain a powerful advantage. The combined convenience of recurring payments and wearable technology can help businesses better delight their customers. To start the process of incorporating wearable payment technology, subscription companies must understand which devices their consumers are using or will likely use in the future. Apple is the leader of the smartwatch industry, accounting for almost half of all sales in this sector in Q4 2016, Canalys reported. This isn't surprising, given the company's dominance over the world of smartphones. That said, Apple is not the leader of the overall wearables market. That title is shared between Fitbit and Xiaomi, as IDC reported. With the recent release of the brand's first true smartwatch, it will be interesting to see if Apple's position remains as is or moves upward. Furthermore, the world of wearables expands beyond smartwatches. The term accounts for any form of worn device connected to the internet - including Google Glass, for example. As the Internet of Things (IoT) technology evolves, the number of device options increases along with it, with possibilities including IoT helmets, headphones, workwear and other forms of clothing and accessories. This means that the number of intersections between payments and wearable tech could also expand, forcing businesses to adopt a comprehensive, multichannel payment solution. The high number of wearables expected to enter the market in the coming years, combined with the numerous forms these devices can take and the history of the intersection between evolving tech and payments, makes it clear: Subscription businesses must be prepared for a moment when a significant portion of their customers want to interact with or pay for their services via smartwatches, wearables and other smart devices such as connected cars, for example. However, creating a subscription billing platform that performs well with the new operating systems within these devices is no easy feat - nor is adapting existing payments infrastructures. This is why such businesses must partner with an experienced subscription billing solution provider, like Vindicia, which can handle such complicated development.